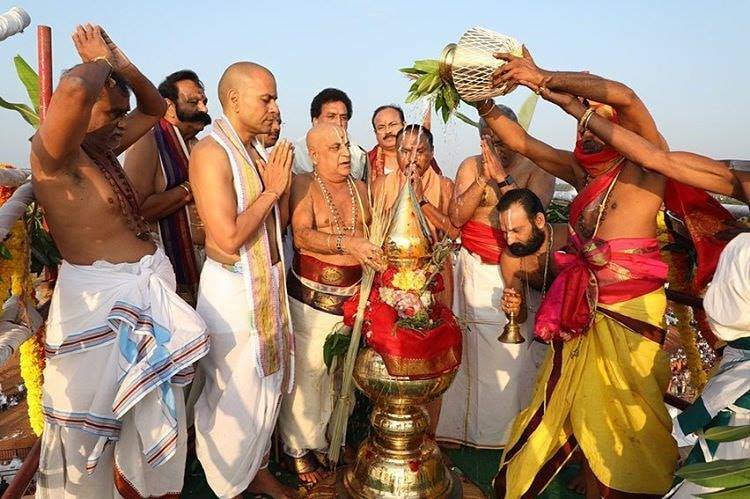 The following are some pictures from a recent maha kumbhabhishekam of Sri Ventakeswara Swami temple in Kanyakumari. 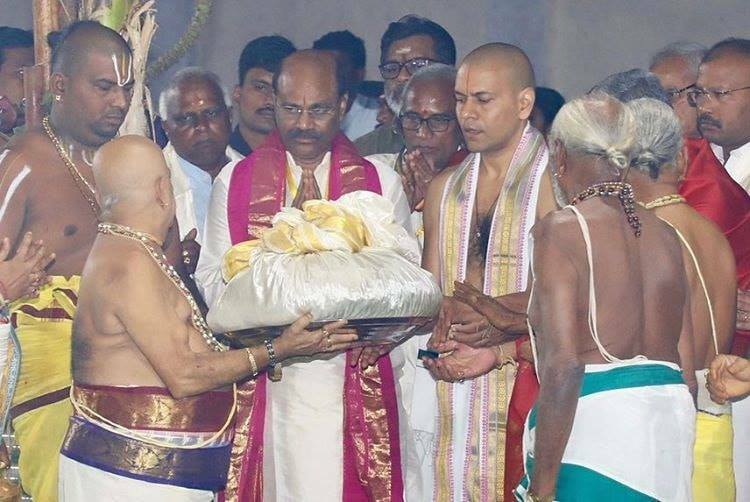 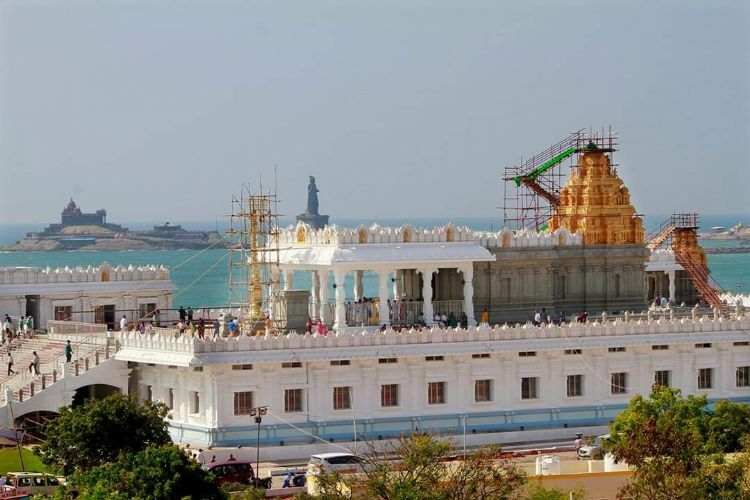 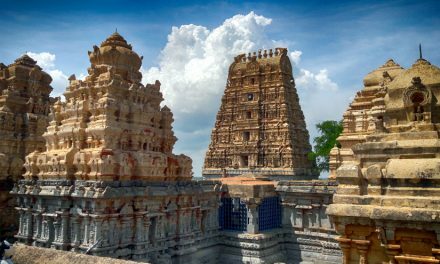 Tirumala Tirupati Devasthanam has constructed the temple of Sri Venkateswara Swamy in the serene premises of Vivekanandapuri pilgrim centre at a cost of Rs.22.50 crores. 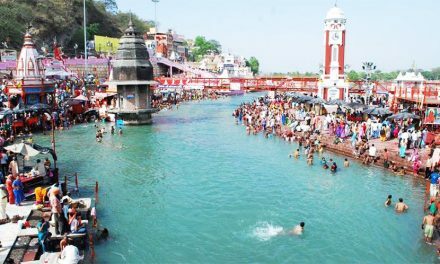 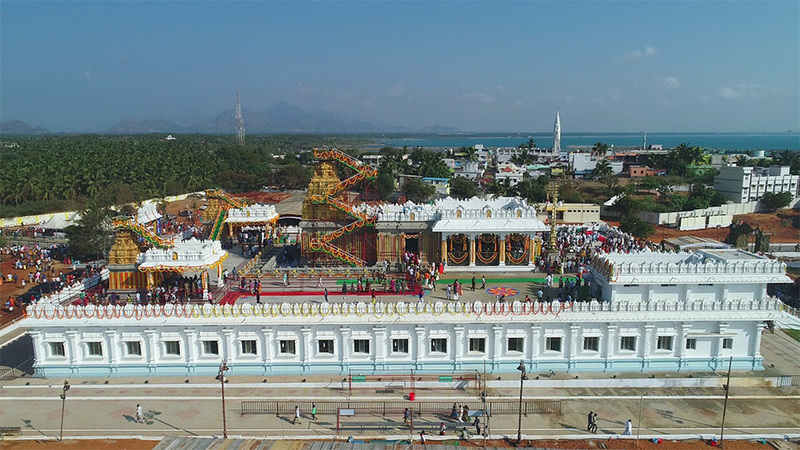 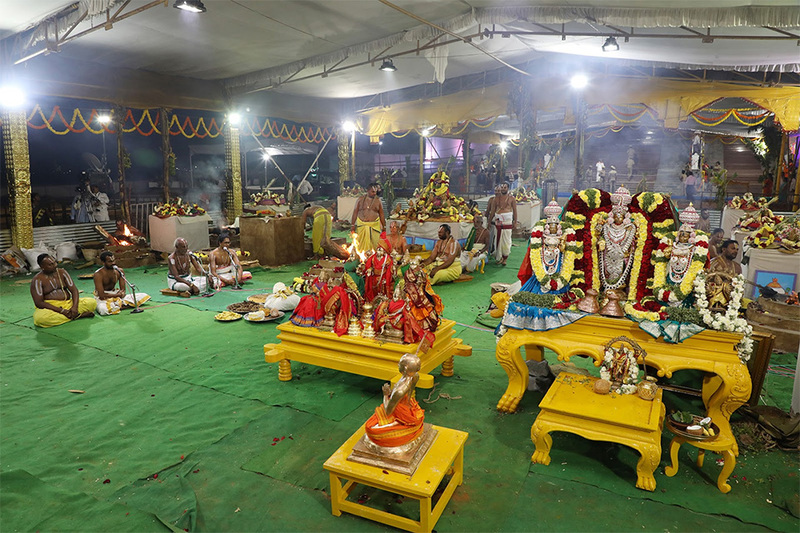 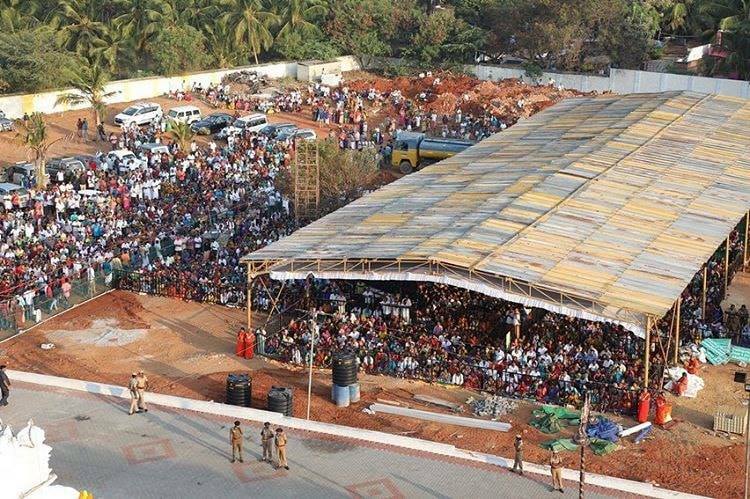 A series of religious activities commenced from January 23 on wards and concluded with the Maha Kumbhabhishekam on January 27. 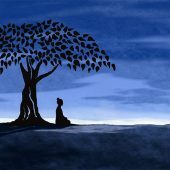 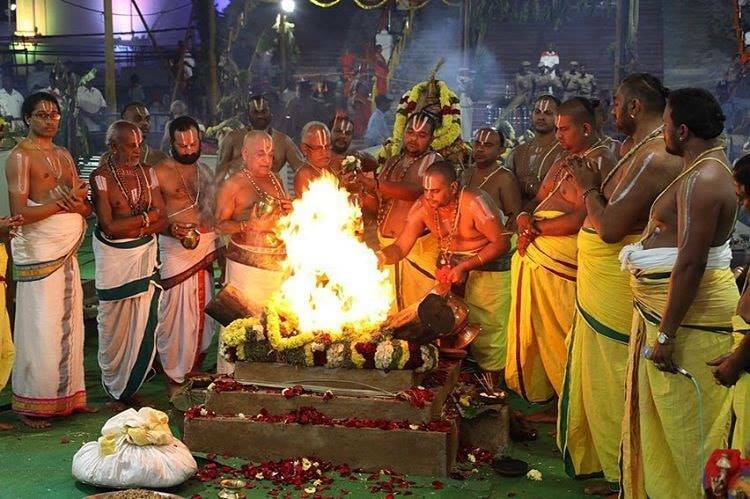 On the final day, the day commenced with Suprabhatam followed by Kumbharadhana, Nivedana, Homam, Maha Purnahuti between 4am and 7am while the Kumbhams (holy pots) and Utsava Murthies (processional deities) were taken out on a celestial procession and seated in their respective places in the Sannidhi. 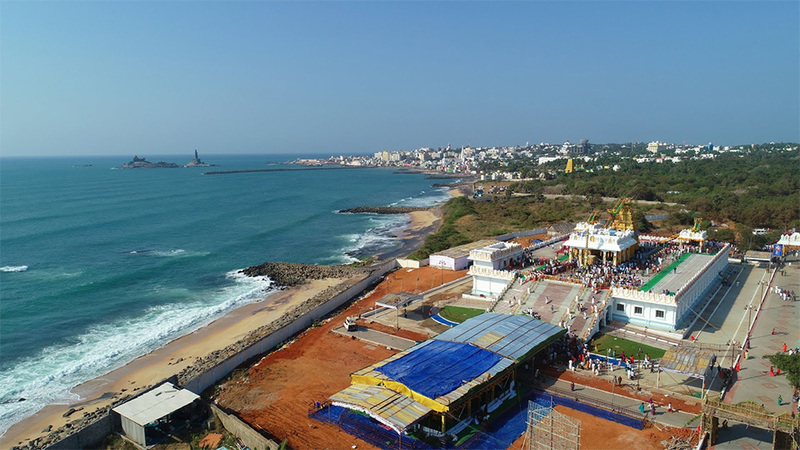 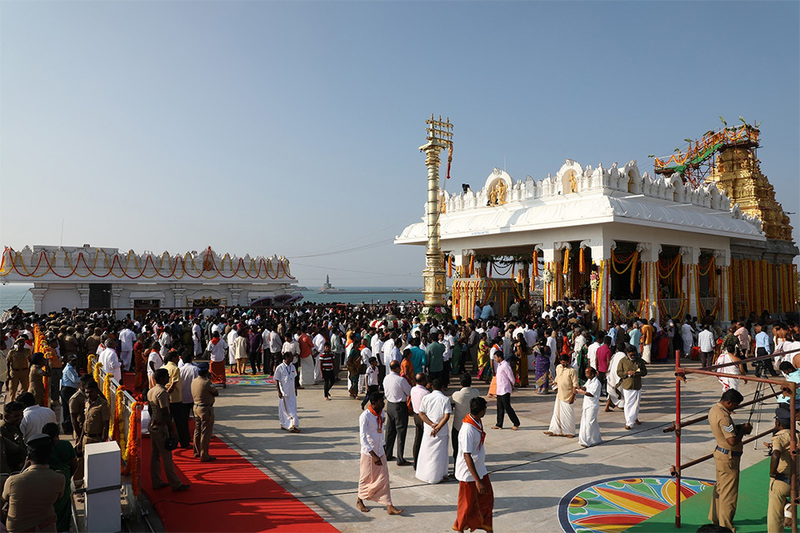 The Maha Kumbhabhishekam ceremony took place between 7.30am and 9am. 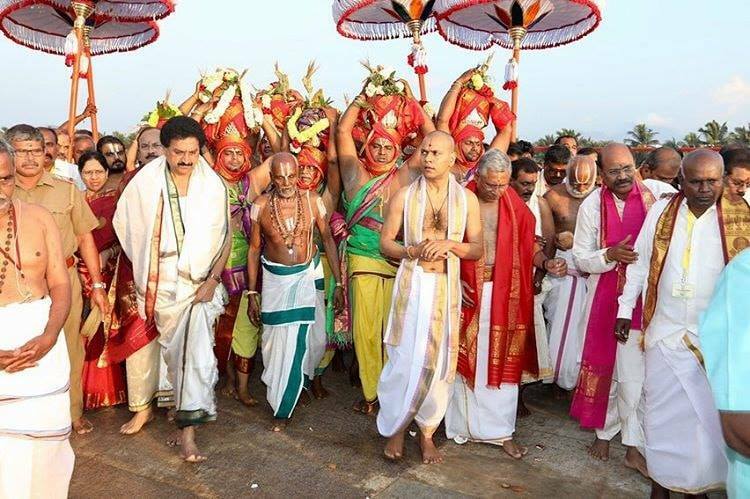 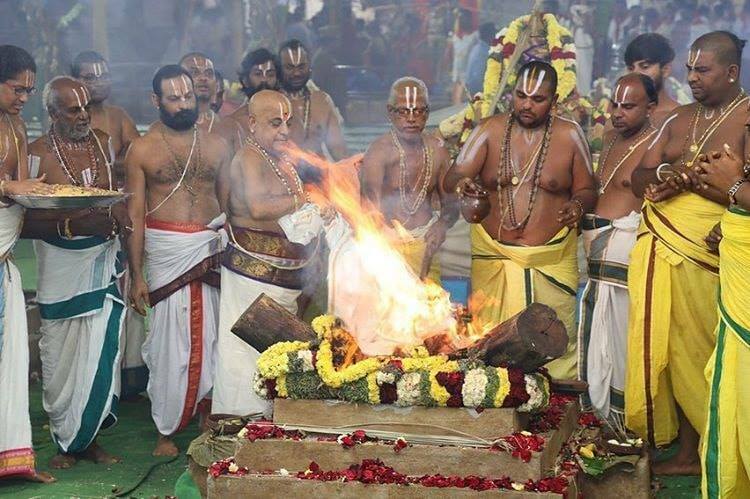 After this religious ceremony, Brahmaghosha, Veda Sattumora, Dhwajarohanam, Archaka Bahumanam were observed between 9am and 10.30am while the Nitya Kainkaryams took place between 10.30am and 12.30pm followed by Sarva Darshanam for pilgrims till 6.30pm. 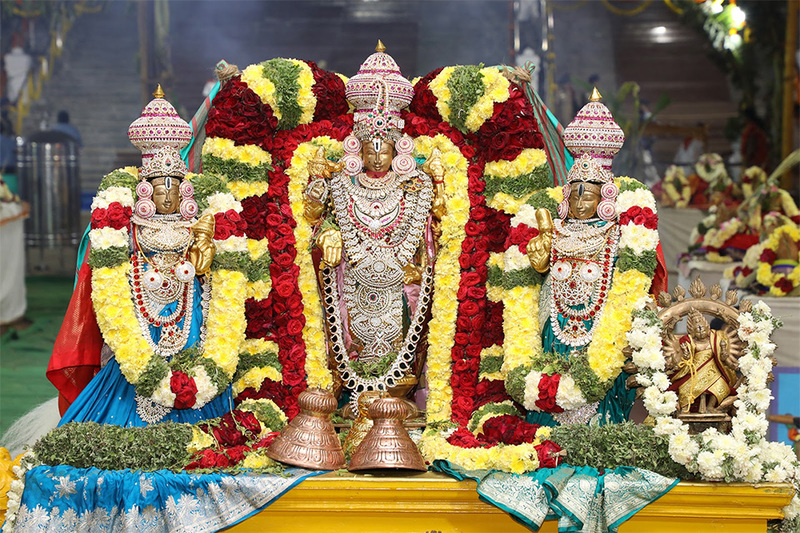 In the evening, the divine wedding ceremony, Srinivasa Kalyanam was held. Procession of deities and Dhwajavarohanam was observed between 5.30pm and 6.30pm followed by Nitya Kainkaryams in the next one hour and then the devotees were again allowed for Sarva Darshan between 7.30pm and 8.30pm while the closure of the temple for the day was marked by the conduct of Ekanta Seva at 8.45pm.